Drawings of guardian angels always inspire me. Whether they are simple drawings or more complex works, they remind me of a world that we don’t see, but that is all around us: the world of the divine. 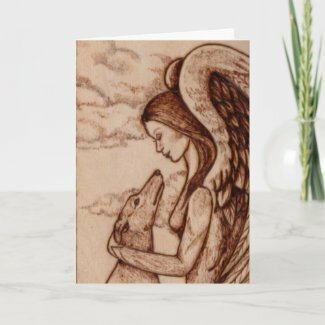 Angel drawings bring beauty and comfort to any place. They are wonderful items to meditate upon. They can certainly help you during your prayer sessions. And they will definitely beautify any corner of your home. It is a great idea to use pieces of angel art to decorate your surroundings. 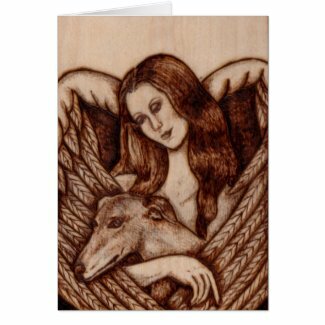 You can also use a guardian angel drawing to embellish Christmas and greeting cards. Do you know how to draw? In that case, create your very own art. You can even give your creations as gifts! 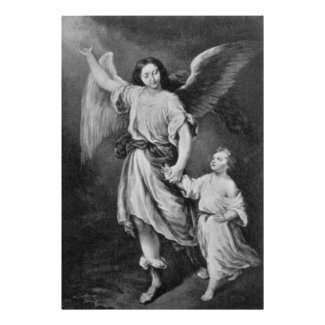 Many famous artists drew angels: Leonardo Da Vinci, Gustave Doré, and W.J. Weigand, among many others. Check the drawings of angels presented below. I hope you enjoy them! I love the work by French artist Gustave Doré. Many of his works depicted angels. 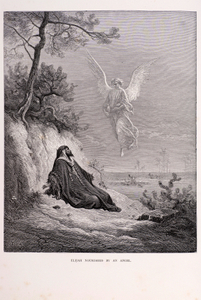 The engraving below tells the beautiful story of Elijah and the angel who fed him. 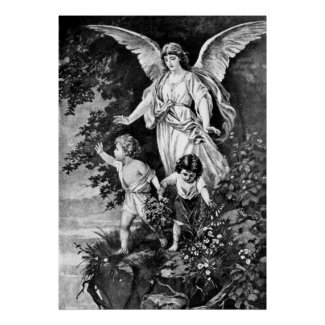 The following gifts inspired by guardian angels are brought to you in affiliation with Zazzle.com.